Cherries and ice-cream – the two key ingredients to a perfect sundae. This flippy skirt has two tiers joined by an extra frill, making a full shape to make it extra swishy. An elasticated waistband with a contrasting drawstring bow creates soft gathers for maximum twirl-ability. 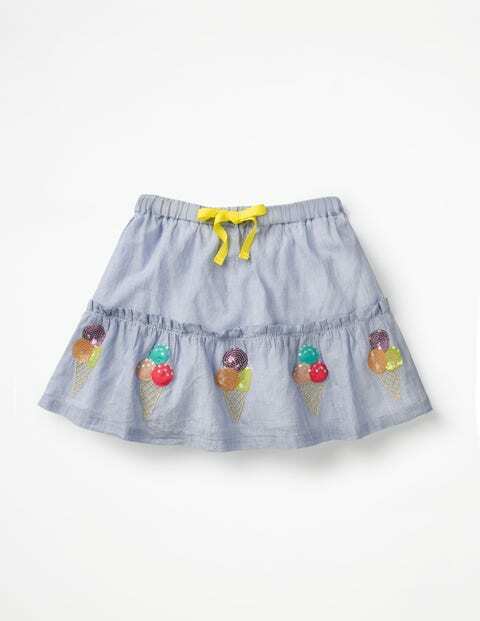 A skirt as sweet as dessert.